Cachaça is rum's older cousin from Brazil. It is made from freshly-pressed sugarcane, while rum is made anywhere in the world, generally from molasses. Cachaça is the third most consumed distilled spirit on the planet, and the caipirinha, Brazil's national cocktail, is probably the world's most popular concoction! Our distillery is located at the intersection of mountains, rainforest, and ocean in the town of Morretes, state of Paraná, in the south of Brazil. With the jungle trees only feet away from our sugarcane, we are true stewards of one of our planet's last frontiers: the Atlantic Rainforest, home to 11,000 species of endangered plants and animals. 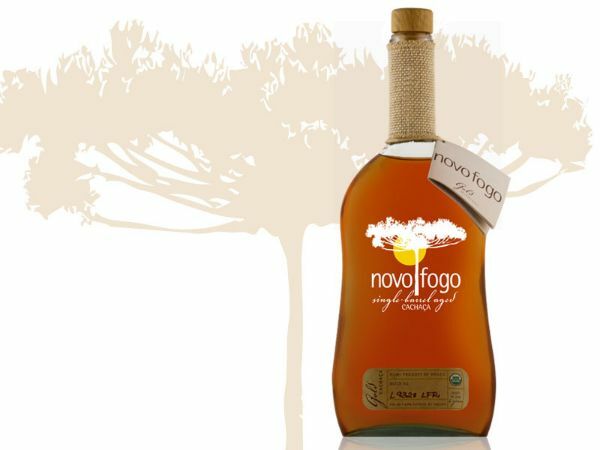 The Novo Fogo Barrel-Aged Cachaça bakes the banana notes from the original cachaça in the rainforest’s hot and steamy American oak barrels. The result? Banana bread, with notes of chocolate, cinnamon bark, and the inevitable American oak influences of toffee and vanilla. The pepper notes are kept but softened, yet the wood adds a touch of black pepper spice.